Black Friday is less than 100 days away. The pressure is on. But even with great planning, the winter season has its own challenges. For one, your customers’ buying behavior will change because they’re shopping for their friends and family instead of themselves. The ability to pivot quickly to meet your customers’ needs will become more important now than any other time of year. But don’t panic, we’re here to help. 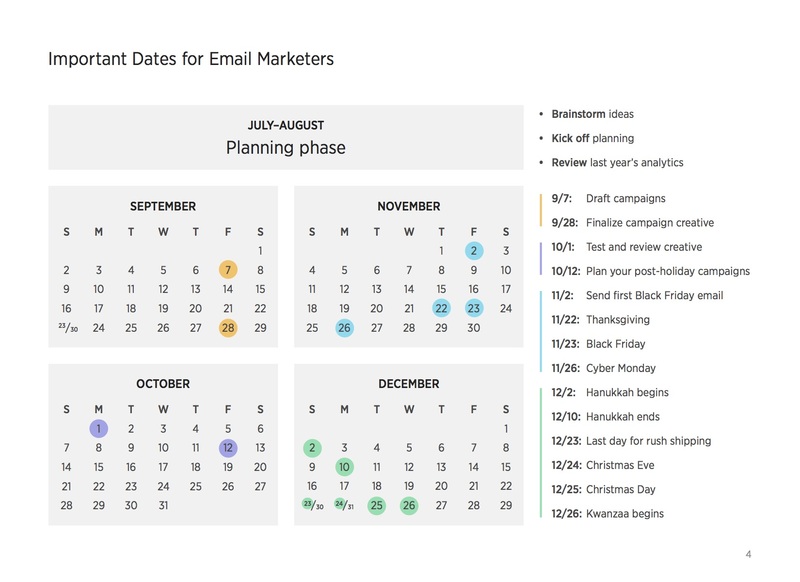 Use the calendar below to plan your upcoming campaigns. Want more helpful 2018 holiday email marketing tips? 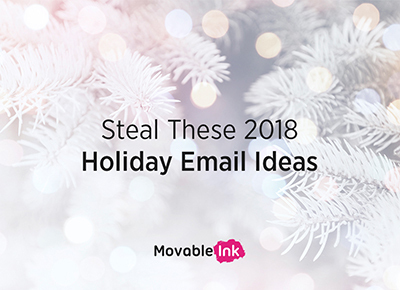 Download our ebook, Steal These 2018 Holiday Email Ideas. It’s packed with real-life examples, proven tactics, and advice for driving your most successful holiday email campaign ever! This entry was posted in Content Marketing and tagged steal these ideas on August 8, 2018 by Kristen Dunleavy.